A small electrical charge is generated when a piezoelectric material is compressed, flexed, or vibrated. Harnessing this technology at the visitor complex, the researchers are using a thin, ceramic disk of lead zirconate titanate, which has the strongest piezoelectric response of any known material. 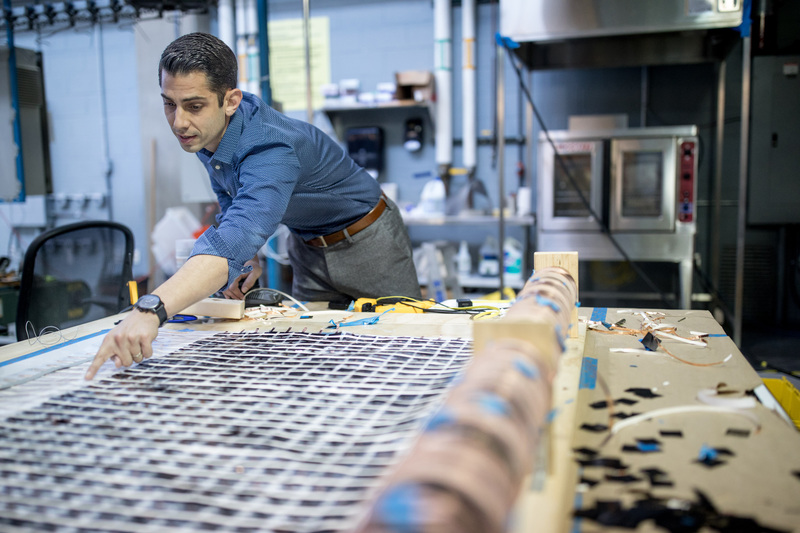 For this unique project, the researchers designed floor cavities of very thin, ultra-high- performance concrete. 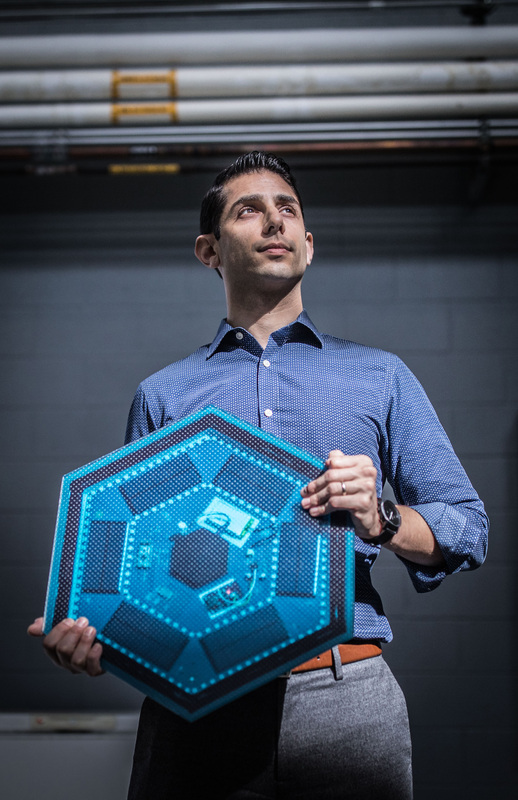 To fit into each cavity, the Georgia Tech engineers designed a novel system of custom electronics: circuit boards, six mini solar panels, a battery, LEDs, a Bluetooth transmitter, a Wi-Fi transmitter, micro controllers, and the piezoelectric element — all of which are covered by a loadbearing glass tile top. 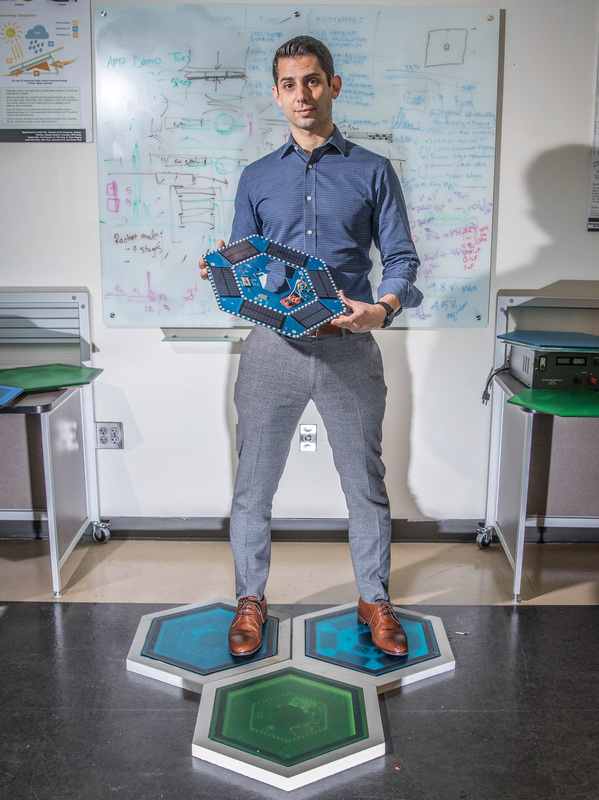 “No one has made anything like this — an outdoor tile system using a piezoelectric element to trigger customized and off-the-shelf electronics and coupling them for human interactions,” said Stern. “When you step on the load-bearing glass tile, it compresses the piezoelectric element, creating an electrical charge that lights up the cavity’s 125 LEDs.” In the entire footpath, about one thousand glass tiles light up in various colors. 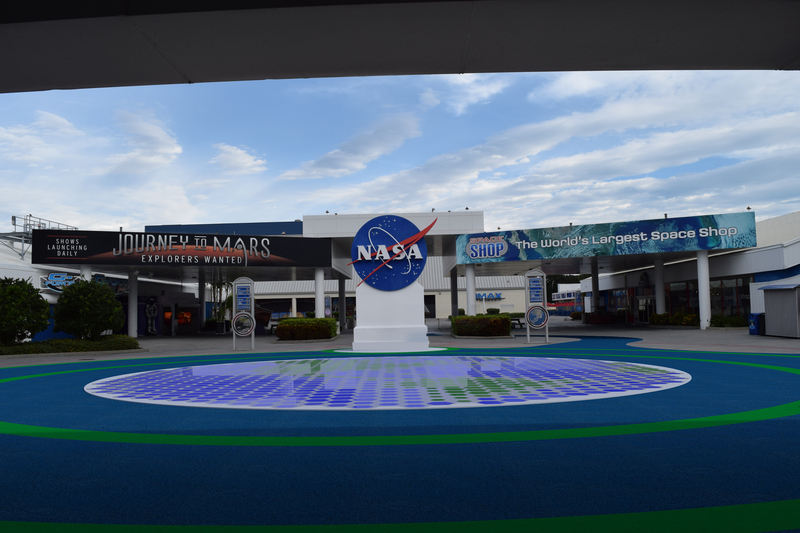 Each glass tile is a pixel in the pathway’s mosaic imagery of Earth, Mars, the moon, and the International Space Station.